Exxon Mobil tops the Forbes 2000 list. The Forbes listing ranks companies on the basis of sales, profits, assets and market value. The Global 2000 companies now account for $36 trillion in revenues, says Forbes. The list is dominated by companies in the United States (524) and Japan (258). Take a look at the world's top 25 companies. 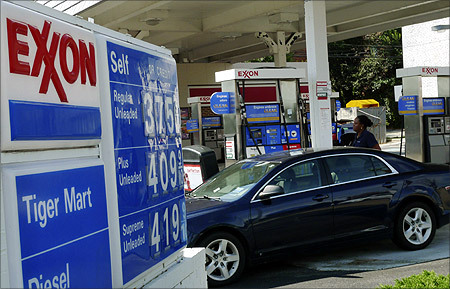 Image: A motorist fills up her car at an Exxon gas station in Arlington, Virginia. 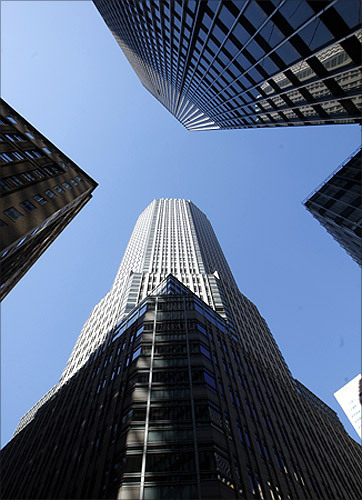 Image: JPMorgan Chase & Co building (top). 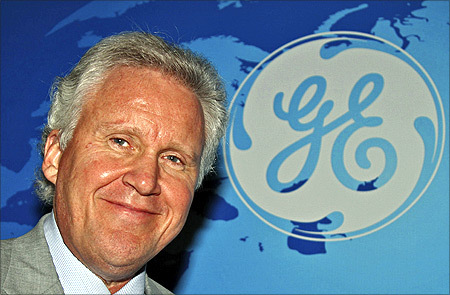 Image: General Electric Co Chief Executive Jeff Immelt. 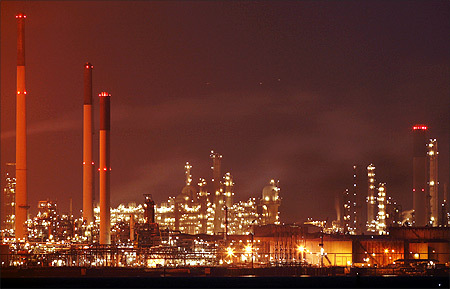 Image: Smoke billows from Royal Dutch Shell's Pulau Bukom offshore petroleum complex in Singapore. 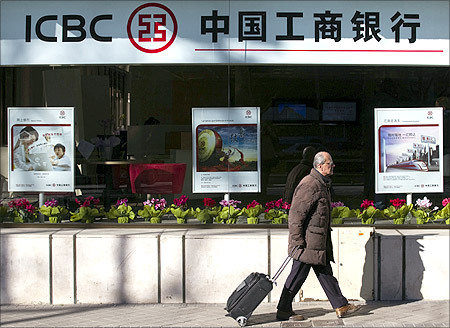 Image: A man carries a case as he walks past the new branch of China's Industrial and Commercial Bank of China (ICBC) in central Madrid. 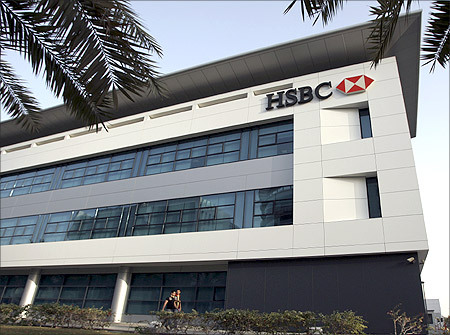 Image: A branch of HSBC bank at Dubai Internet City is seen in Dubai. 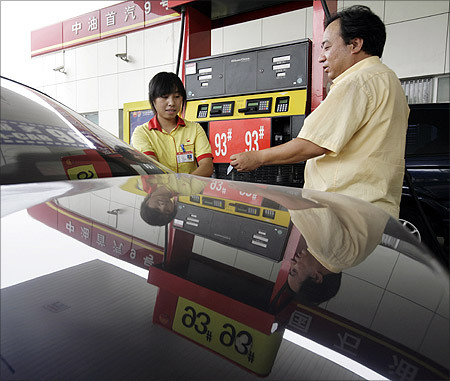 Image: A taxi driver waits to fill up a car at a PetroChina gas station in Beijing. 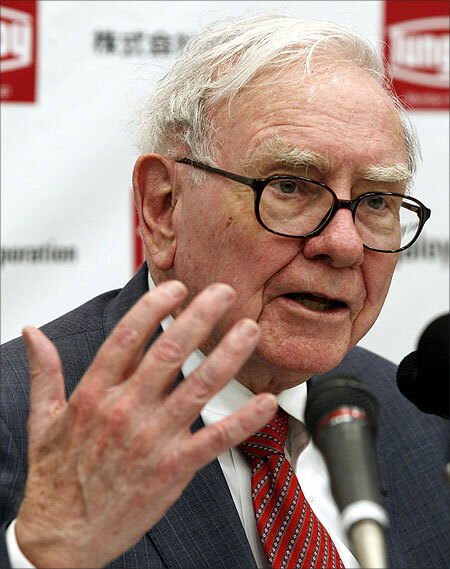 Image: Berkshire Hathaway Chairman Warren Buffett speaks at a news conference. 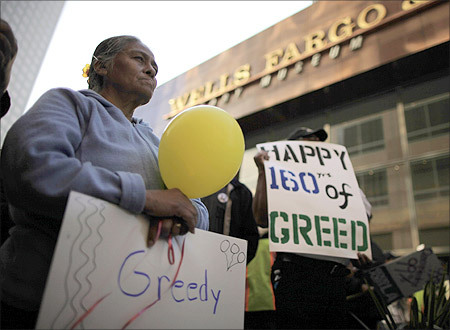 Image: Elena Ruiz, 50 holds a sign during a march outside Wells Fargo to protest foreclosures in Los Angeles, California. 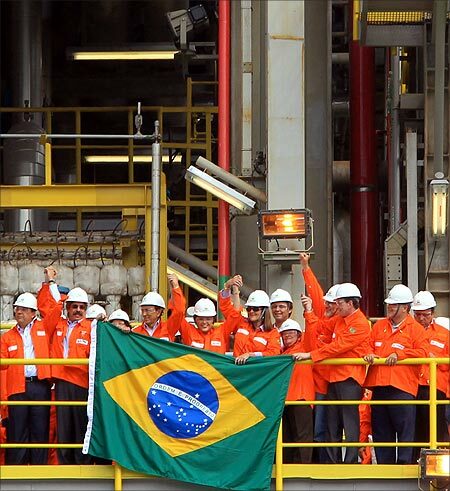 Image: Brazil's President Dilma Rousseff (C) and employees of Brazilian oil giant Petrobras attend the opening ceremony of the P-56 oil rig at Angra dos Reis. 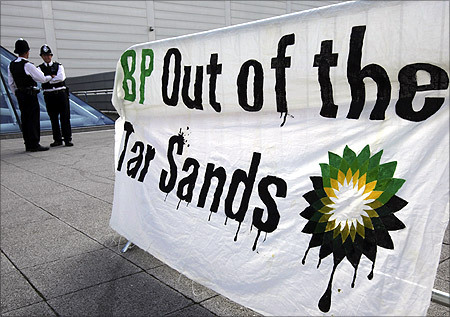 Image: Police officers stand behind a protest banner ahead of the BP AGM. 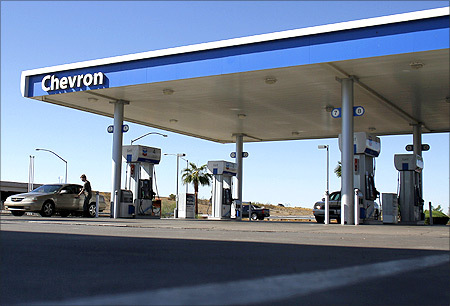 Image: A motorist stands outside of his car at a Chevron gas station in Buckeye, Arizona. 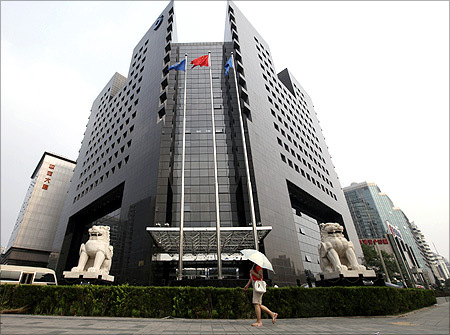 Image: A woman walks in front of the China Construction Bank headquarters building in Beijing. 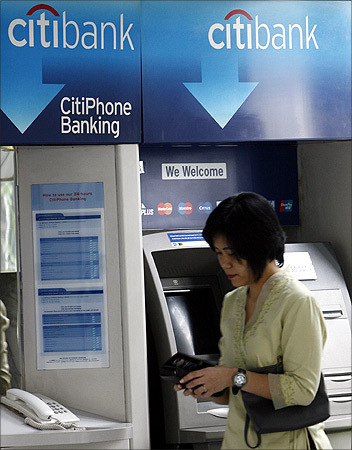 Image: customer leaves Citibank's automated teller machine in Jakarta. 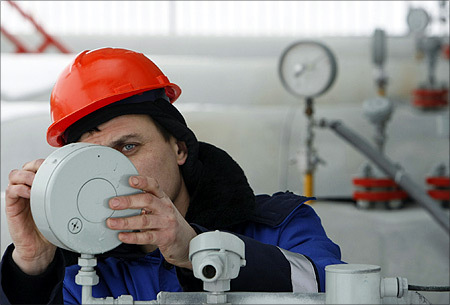 Image: A Gazprom technician works on a pressure gauge at the gas export monopoly's Sudzha compressor station. 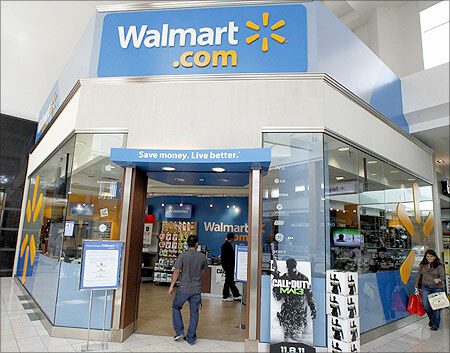 Image: A view of a Wal-Mart.com store at the Topanga Plaza in Canoga Park, California. 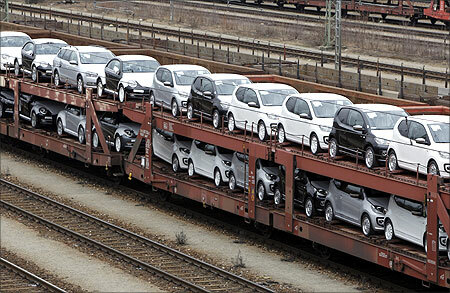 Image: New cars by German car manufacturer Volkswagen AG stand on wagons at a train station in Munich. 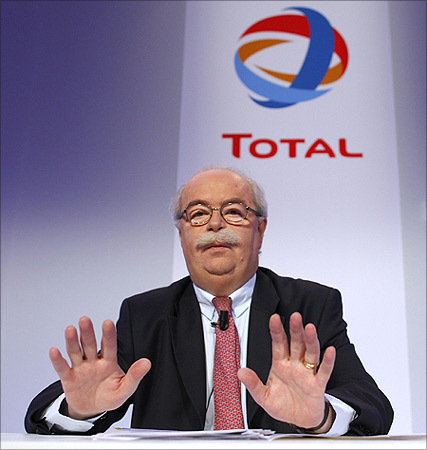 Image: French oil company Total CEO Christophe de Margerie. 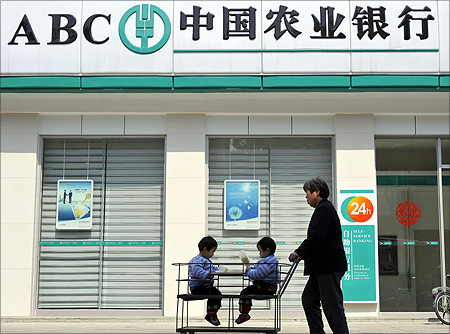 Image: An elderly woman pushes her twin grandchildren on a cart past a branch of Agricultural Bank of China in Xiangyang, Hubei province. 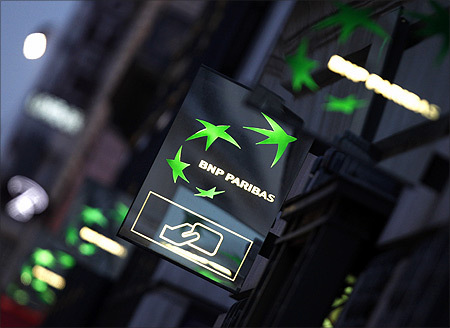 Image: Illuminated signs light up at twilight outside the headquarters of the BNP Paribas bank in Paris. 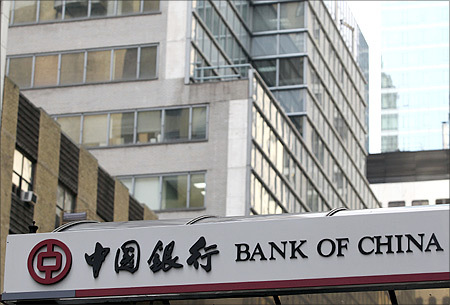 Image: The Bank of China branch is seen in New York. 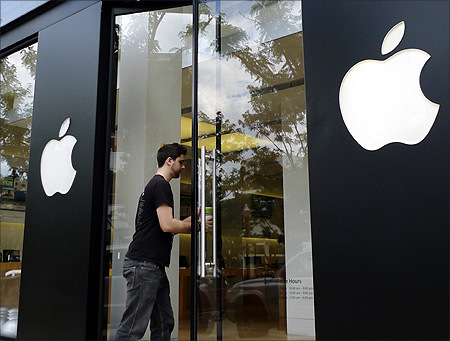 Image: A visitor walks into an Apple store in Clarendon, near Washington. 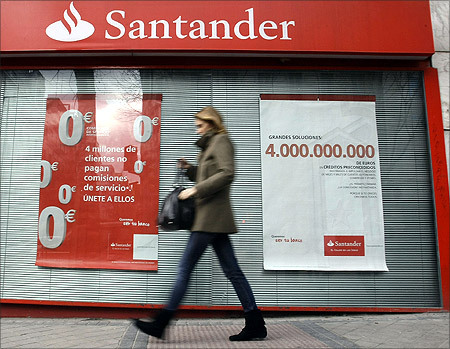 Image: A woman walks past a Santander bank branch in central Madrid. 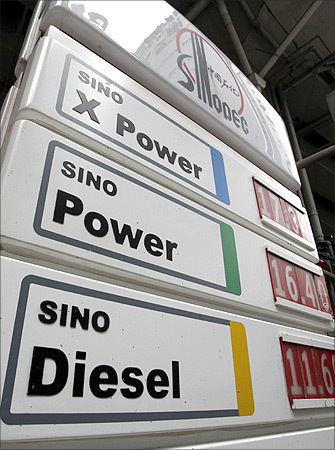 Image: Gasoline prices are shown at a China's Petroleum & Chemical Corp (Sinopec) gas station in Hong Kong. 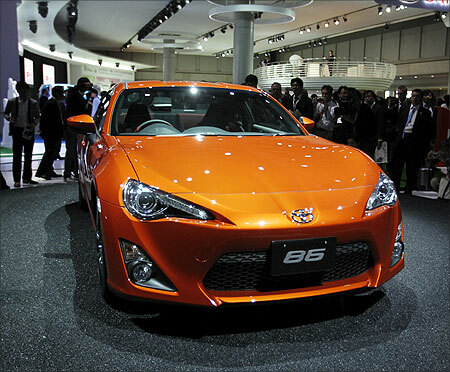 Image: Toyota Motor Corporation's production prototype of the '86' compact rear-wheel drive sports car is seen at the 42nd Tokyo Motor Show in Tokyo. QUIZ: Can you identify these car models?